The Samsung Galaxy Note 9 is one of the most awaited phones of 2018. 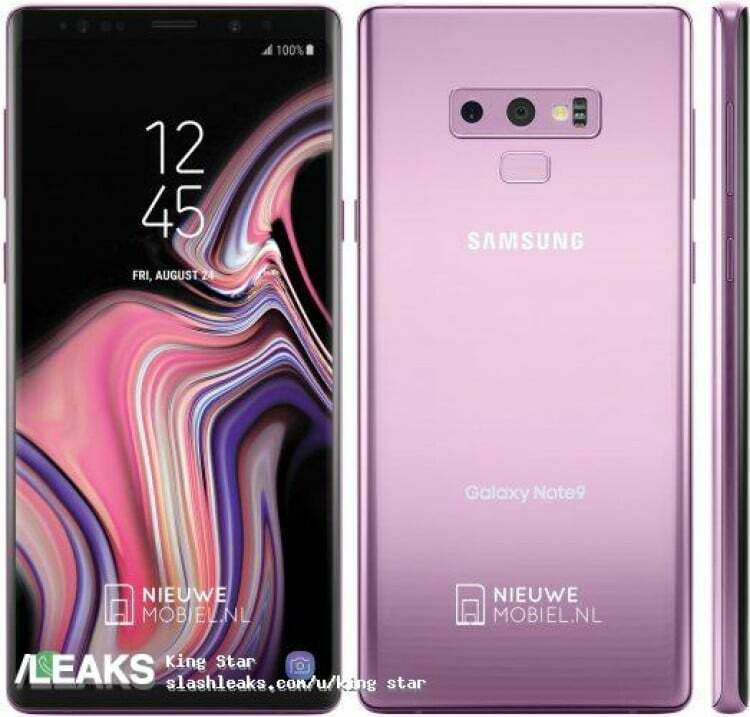 The successor to the Samsung Galaxy Note 8 has been known to sport design elements which very much resemble the predecessor. However, the Note 9 comes with its improvements. A Better camera and a more powerful battery are some of the developments that we might get to see on the Galaxy Note 9. Besides, the phone has gone through a lot of leaks, renders and speculations. As such, the specifications and design of the phone remain no mystery now. Below we have listed down five things about the Galaxy Note 9 that you must know about the phone. This will be the first time in the Note series of smartphones that the S Pen will be getting Bluetooth support. This connectivity on the S Pen will render it even more usable in numerous ways. The Samsung Galaxy Note 9 users will be able to use the S Pen as a remote camera shutter and as well as a music controller. Some tipsters have said that the S Pen might also double down as a Bluetooth speaker. However, that would mean that the S Pen takes a thicker design this time and a larger battery backup. To increase the sales of the device, Samsung might have plans of debuting the latest flagship phone in five colour options. Not only that, a render of the Note 9 has shown that a yellow S Pen will accompany the blue colour variant of the Galaxy Note 9, telling us that the S Pen might also be available in colour options this time. The five colours that have been hinted by Samsung are Midnight Black, Lilac Blue, Deep Sea Blue, Orchid Grey, and ‘Teddy Brown’. It’s no surprise that the Galaxy Note 9 will come with a massive battery since the phone is targeted towards office goers and business people. The last phablet by Samsung, Galaxy Note 8 used to sport a 3300mAh battery. However, this time the popular tipster Ice Universe has hinted that the Galaxy Note 9 would come with a larger 4000mAh battery increasing the stamina of the phone. The massive battery might also translate to two days worth of work on a single full charge. 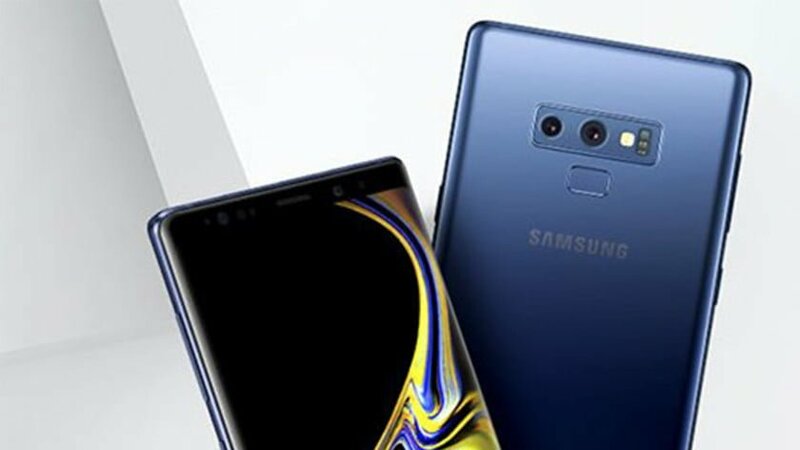 The publication Korea Herald has highlighted that the Samsung Galaxy Note 9 will come with a new Bixby 2.0, which is an upgraded version of the Bixby 1.0 in Samsung’s older smartphones. It remains to be seen in what way exactly Bixby 2.0 will be different from its predecessor, although Samsung has informed that the new Bixby will be able to recognise individual voices and it will also be capable of integrating into apps and services. Roland Quant from WinFuture.de posted a retail box picture of Samsung’s Wireless Charger Duo. The picture showed a wireless charger setup that would be able to charge two devices simultaneously. Although not much is known presently, the charger has been speculated to support two Qi-enabled smartphones at one time or one smartphone and a Galaxy Watch.